We have a passion to find a solution for your needs! 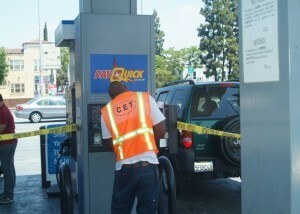 We are a 24-hour-a-day operation that provides service to retail petroleum service stations and car washes. Our technicians have the experience and skills to resolve a vast majority of problems any time of day. We are dedicated at staying knowledgeable in our expertise, with continuous training and certification courses for up to date latest technology in the Petroleum Industry. We’ve proven with over 66 years in business our technicians are the best of the best, the experts in the field and available 24/7. Pump and Tank – certified technicians performing service work in the State of California. All field personal are also Safety Cerfified in the API Safety Key Program. Factory trained, and up to date on regulations for all fueling facilities. We can troubleshoot, recommend and solve virtually any mechanical or electronic related problem found at a service station. 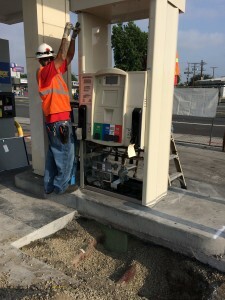 Regulatory Compliance – our compliance department is focused solely on new and changing regulations affecting all California service station and fueling site owners and operators. 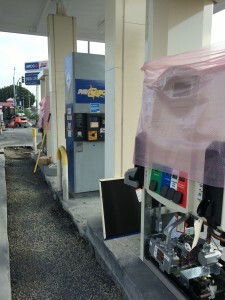 System Upgrades – we are the experts in site remodel, dispenser upgrades, POS and PIC system upgrades or change outs, and underground and above ground equipment testing and upgrades. C Store POS Systems – More information here. Designated Operator – we offer scheduled inspections and facility employee training to meet all your state and federal regulatory requirements. Customer Service – the heart of our company is our inside staff . Skillful in listening, we have the ability and the empathy to understand our customer needs and we provide the best customer service possible.